Mr Toni Iwobi, of Nigerian origin and domiciled in Italy for 41 years, is the first blackman ever to be elected senator in the country. 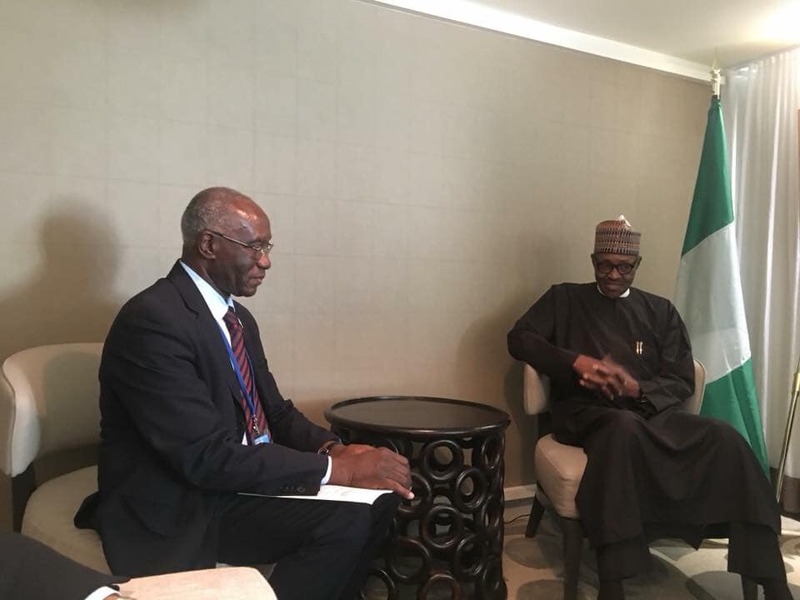 On the sidelines of the 73rd United Nations General Assembly in New York, Thursday, he met with President Muhammadu Buhari, along with a high-powered team from the Italian Senate. "My congratulations to you, and to Italy more," President Buhari told Iwobi, who was elected in March this year, on platform of the far-right League Party. "It shows the advanced respect of Italians for human beings, in spite of colour. It's very impressive." "Africa doesn't need charity, but collaboration to develop," Senator Iwobi declared. Responding, President Buhari noted that what causes irregular migration from developing to developed countries include lack of security, education, health care, among others, stressing: "Climate change has had negative impact on a big country like Nigeria. That is why our youths often defy the Sahara Desert and the Mediterranean Sea, to try and get to Europe. It is a problem that needs to be solved." The Italian Senate delegation plans to visit Nigeria soon.